The Babolat Pure Aero Plus has come back with more stability, power and spin than ever before. The Babolat Pure Aero Tour is back and better than ever. It's more aerodynamic, stable and playable than ever before. The Pure Aero Lite comes back upgraded with greater stability, dampening and precision than ever before. The Pure Aero Team comes back with greater stability, comfort and precision than ever before. The legendary Pure Aero is back in a more precise, stable and spin friendly racquet than ever before. BUY 2 OR MORE FOR $199.00 EACH. A new addition to the range, the Pure Aero Tour is also the heaviest racket in the Pure Aero series. 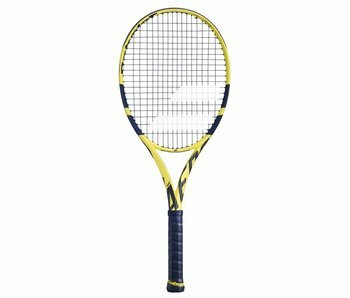 Weighing in at 315 g, it is a powerful but demanding racket, ideal for competitors and advanced players. The Pure Aero Team is nearly identical to the Pure Aero but slightly lighter. A powerful frame with precision and great spin potential. 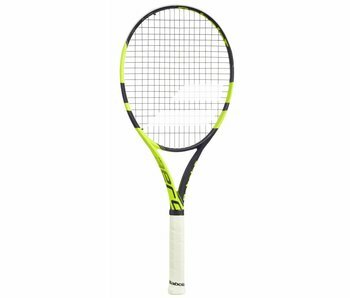 A great racquet for junior players as well as anyone looking for the lightest and easiest to handle racquet in the Pure Aero line. The Pure Aero Lite offers even better handling than the standard Pure Aero racquet or the Pure Aero Team. The Pure Aero Plus is a half inch longer than the regular Pure Aero making this racquet slightly more powerful, especially on the serve. The Pure Aero tennis racquet is the true spin machine. There is no other racquet with this optimal combination of power, spin and precision. BUY 2 OR MORE FOR $219.00 EACH. The Pure Aero VS Tour is for a very strong spin player who likes a heavy racquet and increased control from a thinner beam construction. BUY 2 OR MORE FOR $219.00 EACH. The Pure Aero VS is for a very strong spin player who craves big spin and increased control from a thinner beam construction. The world's best selling racquet line. The Pure Aero series gives you ultimate power and ultimate spin. The frame construction allows better maneuverability and speed on the upward swings. 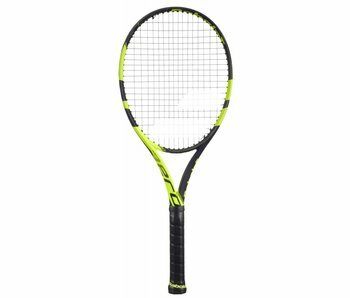 Its more open string pattern allows players to bite into the tennis ball harder than ever before. Made famous by Rafael Nadal. The Pure Aero line is an excellent baseline player racquet. 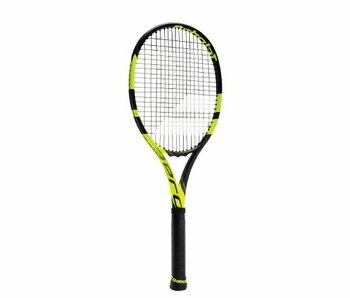 This racquet line is built for speed, power and spin. Featuring FSI Technology, the increased cross string spacing adds spin unlike almost any other racquet on the market. The Pure Aero on Nadal, has given him the highest ball rpm's on tour. His rpm ensures he has the most spin and therefore, more lift and ball drop than any other top 100 pro. At a head size of 100 square inches, the Pure Aero line also carries with it great power. Baseline players will surely have the knowledge that this racquet will allow them to his those deep shots consistently. The coupling of power and spin provides players with greater margins of error when attempting those winning shots. Want more spin? Pure Aero racquets come in a variety of weights, accommodating almost any player.